120 gms drained crabmeat – reserve about 30 gms for garnish. Marinate the Shrimp with the lemon, powdered spices and ginger and garlic paste and grill it or pan fry for 1 – 2 minutes on each side. 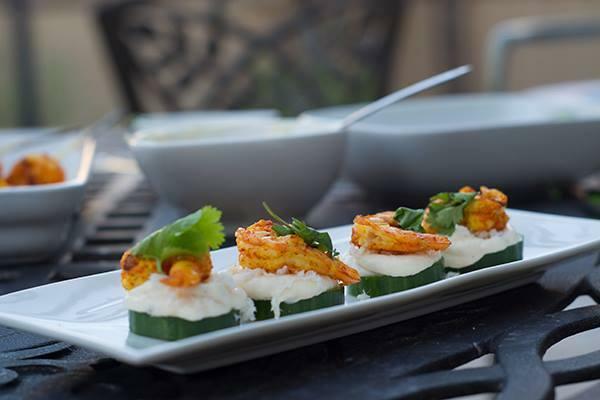 shrimp and garnish with a coriander leaf.